Multi-currency cards are a type of prepaid card designed to be used as payment for goods and services anywhere in the world. They offer the same level of chip-and-pin protection offered by UK credit and debit cards but with better exchange rates and much lower fees. See our guide to prepaid multi-currency cards for more information. To remain impartial these comparisons are ranked solely on the number of reviews each card issuer has received. You may want to compare several cards by clicking on them for full details before you decide which is best for you. Exclusive to Compare Holiday Money customers: load £50 on a new card and get £10 free! New peer-to-peer approach offering exceptional exchange rates and free ATM withdrawals over £200. Up to 18 different currencies on one card. The Post Office Travel Money Card is a popular choice for Europe. There are no transaction fees but ATM withdrawals will cost you £1.50 each time. 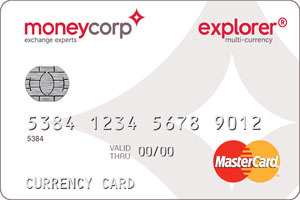 The Moneycorp Explorer multi-currency prepaid card is one of our featured prepaid cards and is a great choice for taking abroad if you are visiting multiple countries or anywhere outside of the Eurozone or USA. The Travelex Money Card was the UK's first contactless travel card and has all of the features you'd expect from an industry heavyweight and you can manage your account with the free Travelex App, You can load up to 10 currencies for which the main benefits apply, but be aware of the 2% reload fee for GBP and 5.75% foreign exchange fee when spending on a different currency to the one you loaded. The Caxton FX Global Traveller is a decent card from a well-known and highly competitive provider. There are no fees for purchases and ATM withdrawals overseas but don't use it in the UK. The FairFX Everywhere Card has one of the lowest FX fees of all the cards we compare. Coupled with competitive exchange rates, this card is great for use anywhere in the world. The First Premier Prepaid MasterCard is a fairly competitive card but a monthly charge and £1 ATM withdrawal fee means it's not quite good enough to shout about. The smart traveller’s choice for taking money abroad. The EasyFX prepaid currency card can be used wherever Mastercard is accepted, including 35 million locations worldwide, over 2 million ATMs and most online merchants. 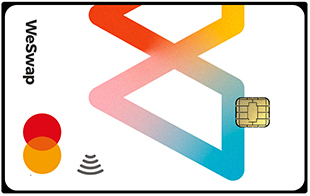 With so many fees and charges the OPTIMUM PAYG Sterling Card isn't a serious contender here and better cards can be found elsewhere. *Annual Fee applies for the first year only. This card from CardOneBanking is average in terms of fees and charges but a £12.50 monthly fee makes it one of the most expensive prepaid cards we compare and should be avoided. Prepaid Multi-currency Cards - also known as "Sterling Cards" or "Travel Cards" - are a special kind of payment method which are designed to be more cost-effective than a standard UK credit or debit card when used overseas. They are intended to be a modern replacement to Travellers Cheques as they are more secure, more widely accepted and can be used anywhere in the world that accepts VISA or MasterCard. Like traditional bank cards they are made of high-quality, durable plastic and come complete with chip-and-pin protection as standard which means they are just as secure as a regular bank card. However, unlike traditional bank cards, prepaid cards are not linked to your bank account in any way which means you cannot go overdrawn with them; you simply top-up your card over the phone or internet (paying using your regular bank card) and top your balance up when it runs out. There are no hidden charges and no surprise bills when you return home from abroad! 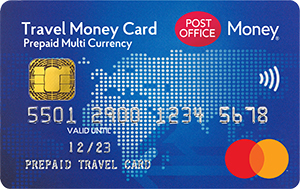 Most prepaid multi-currency cards are free to purchase (a minimum initial top-up of around £50 is usually required) and are suitable for everyone from solo travellers and couples to families and large groups. Multiple cards can be linked to the same account which is perfect for families on a budget and any left-over currency at the end of your trip can be converted back into Pounds, usually at the rate you bought it at. * Based on data taken on 24/11/14. The cash equivalent was calculated using the AUD rate of 1.7955 offered by Travel FX. The cards we compared were: Moneycorp Explorer Card, Barclays Visa Debit and Barclays Visa Credit. How do prepaid multi-currency cards work? 1) Once you sign up for a card you'll be asked to create an account on the card issuer's website. This is where you'll login to check your account balance and top your card up whenever you need to. The first time you sign up you'll need to load a small amount of funds on to your prepaid card and this balance will show up on your account straight away. 2) Your prepaid card will arrive in the post usually within a couple of working days of placing your order. It will contain a PIN number and instructions on how to activate the card which usually involves logging back into your account and following a few instructions. Once activated your card is ready to use. 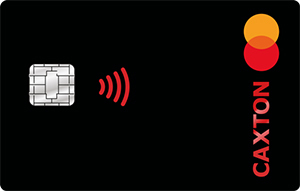 TIP: You can change your PIN by taking your prepaid card to any UK cash machine just like a regular bank card. 3) You can use your prepaid card just like you would a regular UK bank card to pay for goods and services or withdraw cash anywhere in the world that accepts VISA or MasterCard. Any time you make a payment on the card, the amount (plus any applicable fees) will be deducted from your card balance. Once your balance reaches zero, you cannot spend any more until you top it up. As the card is not linked to your bank account in any way, you cannot go overdrawn; there is no overdraft or credit facility associated with your prepaid card and no monthly statements. 4) You can top-up or reload your prepaid card at any time with your standard UK debit or credit card by logging back into your online account. Most cards also allow you to top-up by phone, SMS and via the Post Office. Once you have reloaded your card your funds will be available almost instantly so if you top-up in your hotel room you can withdraw the cash by the time you leave your room! 5) If you need any help or advice, or if your card is lost or stolen you can ring the 24-hour helpline provided by your card issuer. Remember: unlike cash your money cannot be stolen from a prepaid card as your balance is chip-and-pin protected. Why are prepaid multi-currency cards better than credit or debit cards? What really makes prepaid multi-currency cards worthwhile is how much cheaper they are to use when abroad compared with regular bank cards. To understand why, first you have to understand a little bit about how the charges can add up when you use your regular bank card overseas. Firstly there's the exchange rate. If you use your bank card outside of the UK, your bank will convert your British Pounds into whichever currency you need at the time of the transaction using their daily exchange rate for that particular currency. High street banks are notorious for having some of the worst exchange rates because they don't have to be competitive. Your bank will also add on transaction or point-of-sale fees (sometimes called FX fees) which can be a fixed amount or a percentage of the total transaction value. That's a fee you have to pay your bank every time you use your card or withdraw money outside of the UK! So how are prepaid multi-currency cards different? Well most card providers we compare offer far better exchange rates than UK banks which means you'll get a better deal right from the start. As for the transaction fees - prepaid cards offer much lower or even no transaction fees (FX fees) so you only pay what you see and nothing else. You'll have to compare our prepaid cards to see which one is best for you - some charge FX fees but withdrawing money from an ATM is free. Some offer no FX fees but charge for cash withdrawals. Some cards charge for both and some charge for neither so be sure you have a good look at our comparison table above.